Where Do You Find 100 MG Tablets Of Boron? In your article "Home Remedies for Erectile Dysfunction and Impotence" you mention taking 100 mg of Boron daily for erectile dysfunction. However, I can only find the tablets in 3 or 4 mg.
Hi Guillermo. 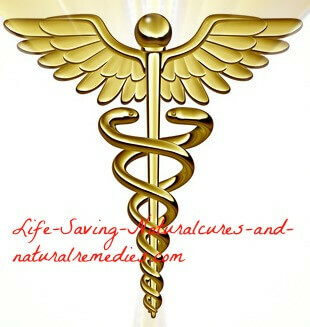 And thank you for your question regarding boron supplements. Now with the particular paragraph and study we mention in our article, it was actually 100 mg's of borax that was taken by the participants, not 100 mg's of straight boron. We apologize if it sounds confusing. Mixing up the concentrated amount of borax that we recommend (and Walter Last recommends from his "How the Arthritis Cure Has Been Stopped" article) gives you 25-30 mg's of borax per 5ml. This contains only 3 mg's of actual boron. So to take the 100 mg's of borax per day (the same as what they did in the study) you would take around 20 ml's of the concentrated solution. This would give you around 12 mg's of actual boron, which is what you need. Do be aware though that this is still a minimum daily amount and more can be safely taken if desired (up to 60 ml's of borax which provides around 30 mg's of pure boron per day). Have a read of the "How the Arthritis Cure Has Been Stopped" article above and pay particular attention to the "What and How Much to Use" section for more clarification. Of course, you could just take the minimum 12 mg's of boron tablets per day instead of using the borax. Hope this helps you Guillermo. Comments for Where Do You Find 100 MG Tablets Of Boron? You're welcome Guillermo. All the best. Thank you for answering, and thus clarifying the issue in regards to boron/borax. Because of everything I have read I was concerned about consuming 100mg of boron. Although I question where 30mg a day is 'needed' or even beneficial for the average person, 100mg a day of boron is NOT a lethal dose. It's a 40 minute long video of a speech he gave in Las Vegas in 2013 titled 'Boron and Oral Health'. Fast forward to the slide he shows at the 6 minute mark, and listen to his dialogue during that slide to see the bottom bullet point and him explain that the lethal dose for adults is actually 15-20 grams (As in 15,000-20,000mg) and 2-3 grams for infants. This should direct-link to the 6 min mark of the video... Boron and Oral Health - Jorge Flechas, MD. Another study that I unfortunately don't have a link for at the moment was done on 1500 participants over a 12 month period. Participants were of all sexes, ages, weights, heights, etc. In this, they were giving participants 100mg a day. It wasn't until nearly 4 months into the study that the lowest weight members began to show pre-toxicity levels by the standards set forth at the beginning of the study (not arbitrary, but not stated where they came up with these numbers). 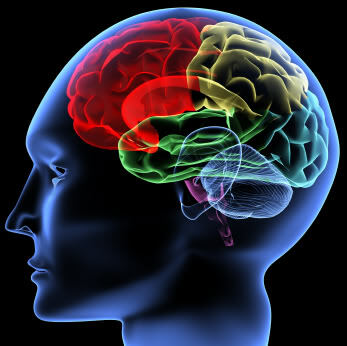 They also stated that no ill-effects of symptoms were noticed by study participants, but for the sake of caution they took them off the boron until blood levels returned within desired ranges. This took 3 days. By the end of the week they were back up to 100mg a day and didn't reach pre-toxic levels again until the very end of the study. The middle weight and higher weight members of the study never reached pre-toxic levels, and as such, continued at 100mg a day throughout the 12 months of the study. The study itself gave the weights & heights of the members who developed pre-toxic levels, as well as the blood levels (in ppm) that they were considering to be 'pre-toxic' and 'toxic'. In short, boron isn't toxic... even at 100mg a day. But, 30mg a day is probably unnecessary for the average person, and it would be questionable if any benefits were even noticed at these levels. Definitely an interesting video and seminar by Dr Jorge Flechas. The one thing his seminar brings to light is just how chronically deficient people world-wide are of boron. While it's true that 100 mg's of boron per day, short term, would not be toxic, I would still question whether someone taking this level and beyond long term (for years on end) would not end up with raised levels beyond what is really needed. Even in Walter Last's article (The Borax Conspiracy) he does recommend that for candida and fluoride detox (skeletal fluorosis), along with health problems such as lupus, psoriasis, fibromyalgia and chronic fatigue, you should take between 500-1000 mg's of borax (depending on your weight) for the first week or two, which equates to around 100 mg's of boron per day. For a standard maintenance dose though he recommends around 60 mg's of borax (which provides 6 mg's of boron) per day. Personally, I still take around 30 mg's a day of boron (from my borax mixture) and have been doing this for many years and have never suffered ANY toxicity whatsoever, apart from in the beginning when my kidneys got a bit sore from mild herxheimers reaction (a common, short term, side effect). So although 6 mg's of boron is the minimum daily dose according to Walter, I certainly agree that higher levels can, and in actual fact, should be taken. How much is 100mg in teaspoons of Borax? 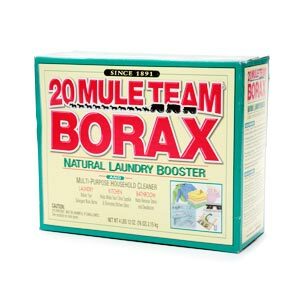 Is it ok to use 100% boric acid instead of Borax? Yes it's okay to use boric acid instead of borax. For dosages and how to make up the boric acid or borax, be sure to read this article in full... The Borax Conspiracy. It contains all the information you need. I have read that Borax is safe to use but Boric Acid is dangerous for humans to take internally as it is NOT the same as Borax, so I'm unsure why you say it is safe to take? Like anything, boric acid can be dangerous to humans if you have too much. However, according to borax/boric acid researcher, Walter Last, as long as you use boric acid at 2/3's the dose of borax you'll be fine. I agree that borax and boron supplements should definitely be your first choice. If these are not available then boric acid can be an alternative.